hello my lovelies! today i decided to make a little tutorial! in two weeks, we have a convention here called scifi on the rock! it's the seventh year this year and i'll be helping out volunteering and taking care a few of the artists. but i still get to dress up! 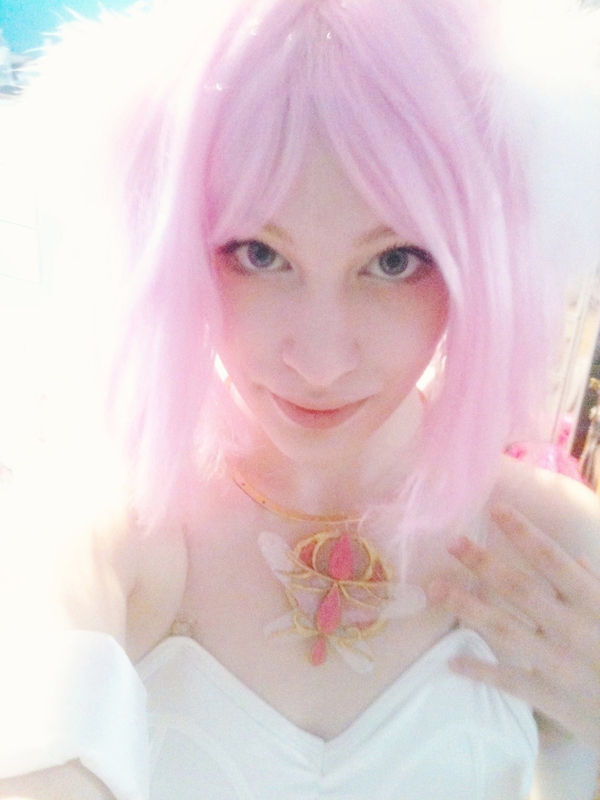 so, this will be for my princess tutu costume! so, it's fairly simple! you start with the white hair band as your base. you'll be wearing it with the ends by your ears, wrapping around the back of your head instead of the top. the reason you don't want a thick base is because it will end up being too heavy. even though my hair band has two bands, they're both very thin and close together! 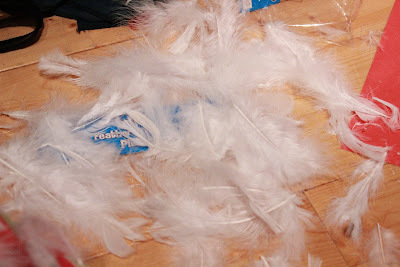 then you start glueing the feathers individually in the direction that the frame is going. 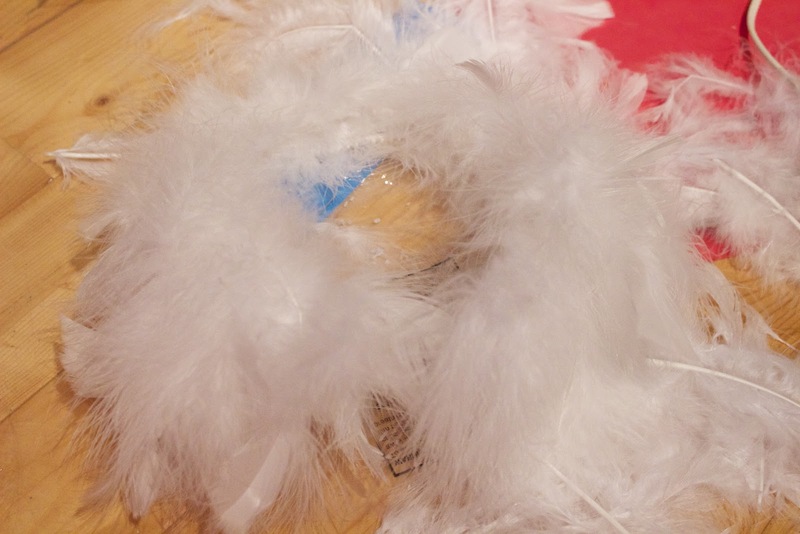 so the large end of the feathers will be going out towards the ends! be careful of your fingers!! you're going to want to put the hot glue as close to the small end of the feathers as possible, but not so much that when you push down on it that it will go every where. you're essentially going to want to keep layering the feathers. so feathers on top of feathers on top of feathers until it's big and fluffy! this is where the optional boa comes in! if you feel you need extra pouffe all around or on one side and don't want all the feather stems to be seen, you can use the boa for extra pouffe! optional:: so taking your white feather boa, you're going to measure it out against the hair band and cut off what you don't need. 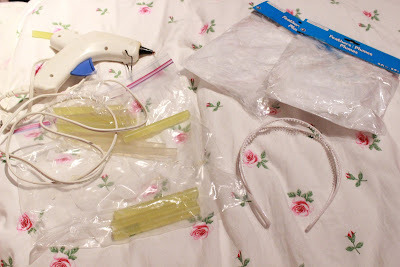 hot glue this wherever you need the extra feathers! the optional combs are if you think the crown is too heavy, in which case you would take them and glue them on the insides of the ends. it should stick into your wig / hair nicely~ though they might dig into your ears!